Tired of frequently tossing, turning, and waking up in the middle of the night with hot flashes or a sweat-drenched pillow? You simply can’t continue living like this because sleep interruptions can have adverse long-term effects on your overall health. Firstly, sweating pillows can be extremely uncomfortable, interfering with your sleep and denying you the rest you deserve after a long, hard day. Apart from that, sweaty pillows typically emanate strong odors that can be extremely repelling for you and your partner. Such pillows get stained with ease, preventing you from being able to sleep comfortably. If you’re currently suffering from insomnia as a result of your hot sleeping pillow, all is not lost. What if you owned a specialized pillow designed to withstand even the most severe heat so you can sleep cool and wake up feeling fresh? The truth is you don’t have to wake up on a sweaty pillow ever again. Our experts have compiled the best cooling gel pillow reviews available on the market to help transform the quality of your sleep and make it cool again. Just take the next couple of minutes to go through the unique features each of our top picks bring to the table and you’ll find the perfect one for your needs in no time. So, you’re obviously here in search of a cool gel pillow because your sleep quality needs a serious upgrade. Well, these types of pillows come so it is absolutely vital that you know the critical factors to look for in order to make well-informed buying decisions. Memory foam is king in the cooling gel pillow market due to its special ability to mold to the unique contours of your head to secure maximum support and relief from unnecessary neck pressure. If you’re a stomach sleeper, it is important to choose cooling pillows made from shredded memory foam because they tend to be easily moldable and lighter than their standard memory foam rivals. It must be noted that pillows constructed from memory foam usually come with a mild stink that can be a bit troubling. However, this smell typically disappears within 24-48 hours after it is first unpacked. ALWAYS choose a memory foam pillow filled with gel to enhance breathability and improve airflow. Well, unless you still want to continue waking up on a sweat-filled pillow. Cooling gel pillows come in 2 main styles i.e. thick and thin. 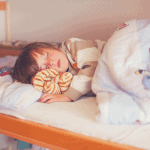 A consumer’s preferred sleeping position determines which type is more suitable for him or her. 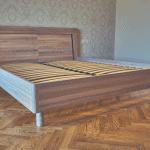 Side sleepers thrive on thicker pillows with a little bit of firmness thanks to the extra back support they require. On the other hand, stomach and back sleepers usually sleep better on thinner, less dense pillows. If you suffer regular neck, shoulder, and hip pains, opting for a pillow with dedicated contouring can do wonders for your pain relief. Such pillows can ensure correct spinal alignment during sleep while keeping you cool as well. Looking for the best cooling gel pillow available in the marketplace? Look no further than the 5 models reviewed below. 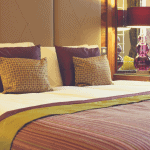 They feature the most advanced technologies in the industry to guarantee a cozy night of sleep every time. 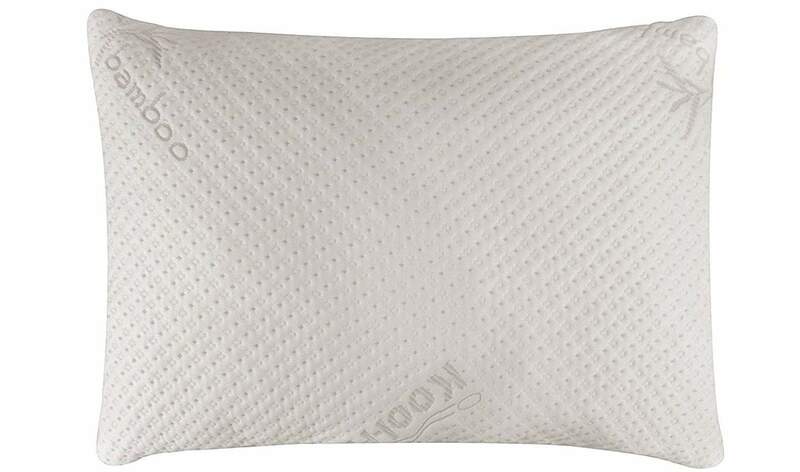 The Snuggle-Pedic Ultra-Luxury Bamboo is the best memory foam pillow available for sale right now. The endless number of glowing reviews from current owners is testament to the insane features integrated into it. Designed to keep you cool and comfortable regardless of room temperature, it is made from the manufacturer’s patented Kool-Flow, soft, and luxurious micro-vented cover. The material is manufactured from 43% viscose of bamboo and 54.6% polyester as well as 6% Lycra. This blend translates to breezy sleeping every single night. The Snuggle-Pedic comes in a shredded-style combination that never goes flat no matter your body weight or how long you sleep on it. 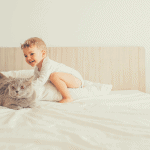 Additionally, the pillow is anti-dust mite and hypoallergenic so those suffering from allergies no longer have to worry about compromising on their comfort. Each purchase comes with a 90-day money back guarantee which allows free returns if you do not love it for any reason, no questions asked! One of the reasons why consumers find this model irresistible is the zipper removable cover that allows easy adjustment of thickness and comfort. This is a significant upgrade on most models in the market with stagnant comfort levels. 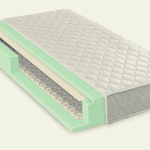 The hugging properties of the foam provide exceptional orthopedic neck support for side, back, and stomach sleepers. Waking up with neck pain will no longer be an option. It is made in the USA from the highest quality Eco-friendly materials minus ozone depleters, phthalates, heavy metals, lead, mercury and other potentially harmful chemicals. The Sleep Restoration is the obvious choice for consumers looking for a 2-pack super plush pillow set that puts all the others to shame. Regardless of your preferred sleeping position, you can be assured that they are tailored to help you sleep with enormous comfort. 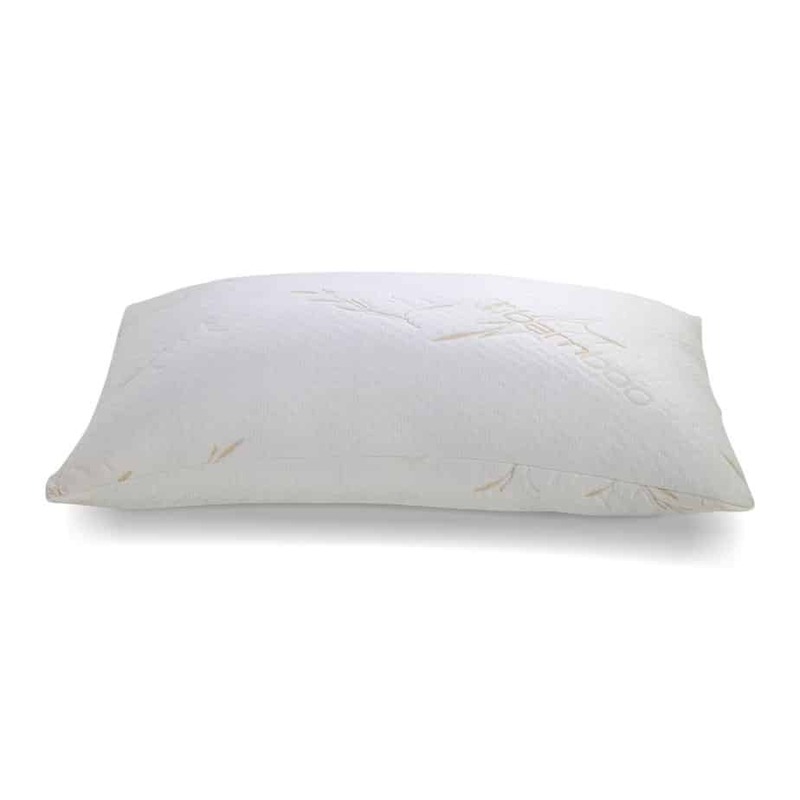 Manufactured from a combination of premium cotton shell and extremely breathable gel fiber material with the finest, state-of-the-art craftsmanship, this pillow fills your nights with 5-star luxury. Additionally, the patented design coupled with the use of super plush and luxurious components means you can expect to sleep like royalty. Molds are a huge problem in the pillow industry and it’s not unheard of for a brand new gel pillow to arrive in your home already covered in molds. Thankfully, the Sleep Restoration Gel Pillow is mold-resistant and anti dust mite so you’ll never have to worry. The fact that it is hypoallergenic means comfort for everyone, allergy sufferers included. The Sleep Restoration Gel Pillow is a fantastic place to rest your head thanks to its no-shift construction which provides a stylish, luxurious, and exceptionally comfortable sleeping experience. Keeping this pillow fresh and clean even after many years of use is easy because it is machine washable. Additionally, the cover materials are fade-resistant and stain-resistant so their aesthetic qualities can be maintained even after extensive usage. The 30-day satisfaction guarantee offered for each purchase shows the level of confidence the manufacturer has in the product. You can simply exchange or return it for a full refund if you’re not satisfied with your purchase for any reason at all. 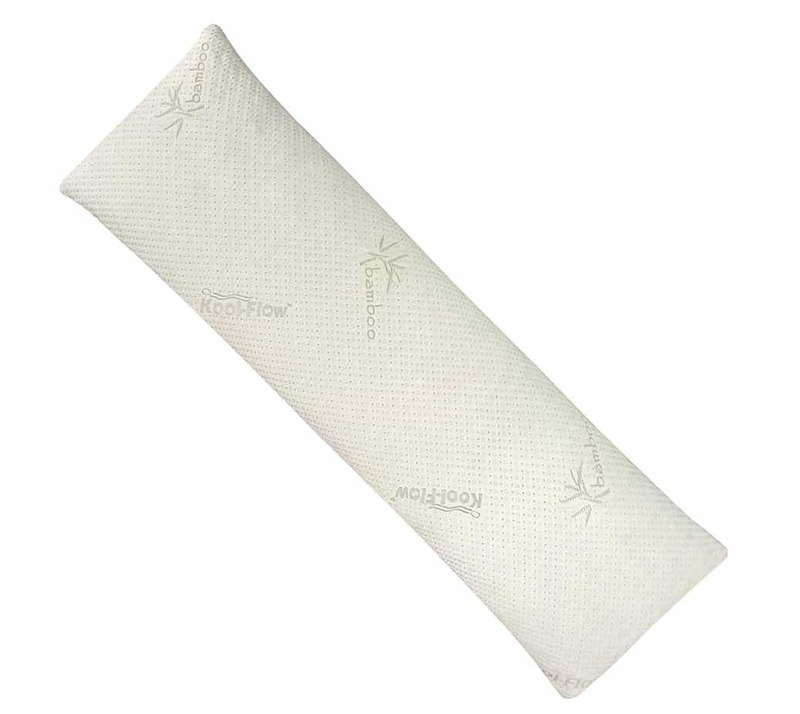 The Snuggle-Pedic Shredded Bamboo is one of the bestselling cooling gel pillows on the market right now. It is made in the USA from a combination of viscose of bamboo, polyester, and lycra to give you just the required level of breathability you need to sleep cool throughout the night. Snuggle-Pedic’s renowned commitment to using top quality biodegradable components means every inch of foam used is certified by the Consumer Product Safety Commission to contain zero potentially harmful chemicals. Additionally, the foams are certified to be low on Volatile Organic Compound emissions for guaranteed indoor air quality. Asthmatic patients and those prone to allergies find this cooling gel pillow very comforting because it is completely hypoallergenic and dust mite resistant. This means sleeping cool and comfortable every night without being exposed to any hazardous situations. It is rolled and vacuum sealed for easy shipment to your doorstep, making handling and transportation to your bedroom feel like child’s play. The Snuggle-Pedic Ultra-Luxury Bamboo is one of the few select models offering a 90-day satisfaction guarantee as well as a 20-year industry leading warranty for purchases so you won’t ever have to worry about not getting the best bang for your buck. The pillow is made with Snuggle-Pedic’s patented Kool-Flow Technology which means you’ll never have to sleep on a sweaty pillow again. Even when room temperatures surge during the summer, this heavenly bundle will keep you cool each and every night. The zipper removable outer cover allows each consumer to easily adjust the thickness and comfort of his or her pillow. The conforming shape also provides world-class orthopedic neck support for everyone including side, stomach, and back sleepers. The Xtreme Comforts Slim Hypoallergenic Pillow is rated #1 as the Best Bed Pillow by THE SWEET HOME, a well respected review organization. Whether you’re a stomach sleeper or simply prefer the comforts of a thin pillow, this model has got you covered. Unlike other mediocre shredded foams imported from third-world countries, this model is manufactured right here in the United States from deluxe quality shredded foams which do not go lumpy or flat. These foams are CertiPUR-US certified to meet the most stringent manufacturing standards. Therefore you can sleep soundly knowing that the pillow you’re spending 8 hours a night on contains no ozone depleters, flame retardants, formaldehyde, phthalates and other potentially harmful chemicals. This cooling pillow promotes proper back, neck, and spinal alignment to enhance correct posture and relieve the body from all forms of pain. Suffering from chronic back and neck pain as well as migraines, insomnia, and other orthopedic problems? This may be just what you need. 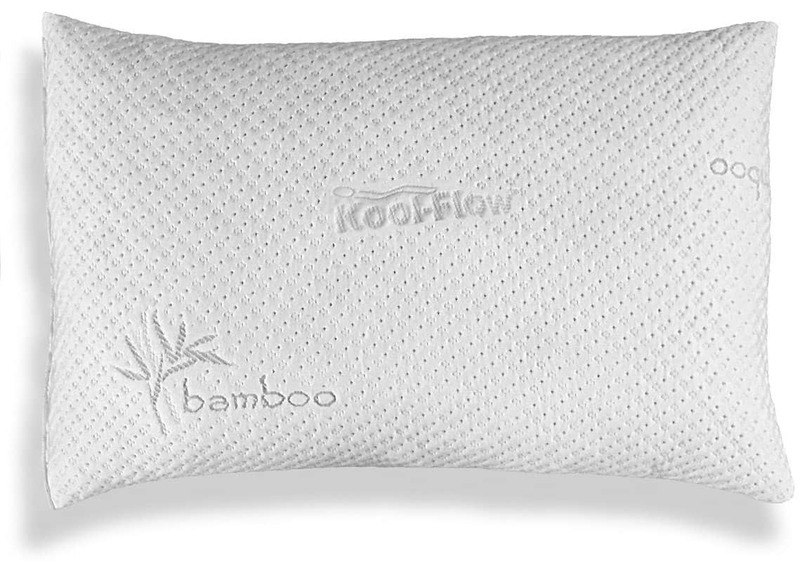 The Xtreme Comforts Slim Hypoallergenic Pillow comes with a micro-vented Kool-Flow Technology Bamboo Cover which is comparable to sleeping on a cloud. It delivers exceptional air circulation and breathability while promoting temperature regulation to keep the pillow surface crisp and cool always. The pillow is easy to clean and machine washable so it’s easy to keep it fresh always. Cleanliness will never be a problem thanks to its built-in dust mite resistance and hypoallergenic properties. The CustomSleeping Bamboo Pillow pops up on our list of the best cooling gel pillow reviews due to the exceptional comfort and support it brings to your bedroom. 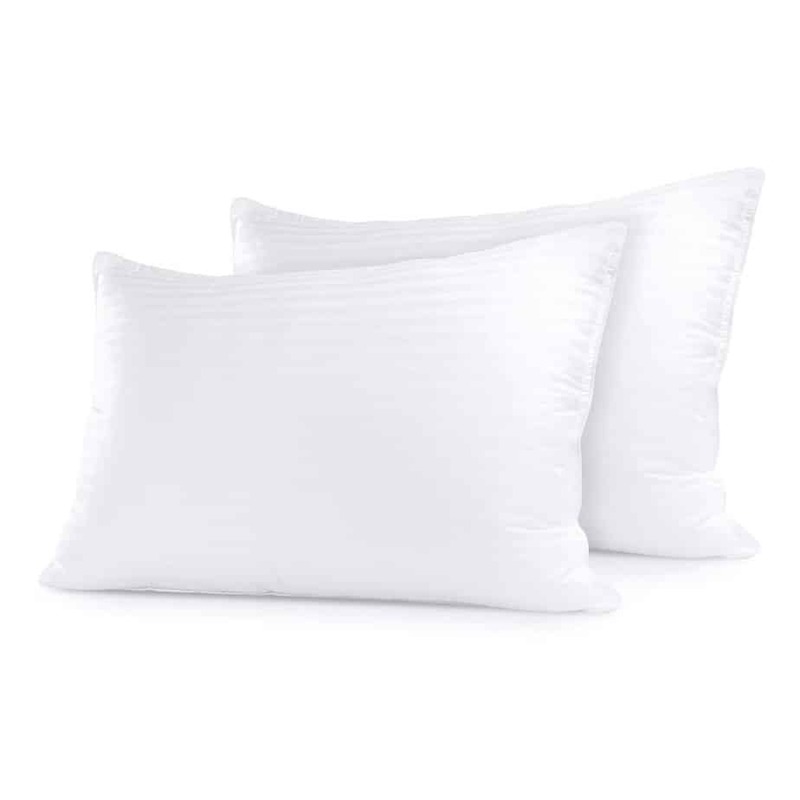 Made from shredded memory foam cluster fibers and soft luxurious bamboo derived rayon cover, you’ll know you’re in for an amazing night of sleep as soon as your head makes contact with the pillow. It is manufactured in the USA from 100% CertiPUR-US certified memory foams and bamboo micro venting cover sourced locally. These foams are not just Eco-Friendly; they’re also guaranteed to be free from unhealthy manufacturing chemicals ranging from formaldehydes to phthalates as well as heavy metals, lead, and mercury. The CustomSleeping Bamboo is a true queen size measuring 20” x 28” and remains one of the easiest to maintain pillows available for sale now because it is fully machine washable and dryable. Factory defects are covered by an incredible Lifetime warranty while each purchase is also backed by a 30-Night Risk Free Trial. The CustomSleeping Bamboo Pillow features revolutionary technology that enables each sleeper to adjust the height and firmness of his or her own pillow via the side zipper. Cradling comfort for back, stomach, and side sleeping positions is provided with proper orthopedic support to correct bad sleeping posture, eliminate sore necks by simply shaping and snuggling it, and improve overall quality of sleep. The manufacturer takes high-end soft Gel fibers and transforms them into cluster balls which leads to a significant improvement in support and airflow for superior cooling effects. A cold-style pillow isn’t jCheust a piece of luxury; it is actually a requirement for anyone that wakes up hot in the middle of the night, usually with pillows soaked in sweat. After a hard day of work, tossing and flipping your pillow due to unbearable heat is the last thing you need to rest well for the day ahead. If you’re a hot sleeper, a cooling gel pillow may be just what you need, especially if your current one fails to deliver night after night. Residents of hot and humid regions can also benefit immensely from the right cooling pillow. With hot room temperature all-year round, why would you pass up the chance to transform your sleep into a cozy one?